Sacks Crawfish is a local, family owned business. Sacks Crawfish is owned by a husband and wife born and raised in Louisiana. We relocated to Reno in 2005 calling this our new home and have seen such an amazing growth in this area. Our family knows cooking and how to have a good time, Laissez les bons temps rouler! as they say. (Pronunciation: le-say lay bohn tomps rio-lay) Ok one more easier Pronunciation: (La boh toh rule a). Anyway, Sacks Crawfish was created with an eagerness to share and preserve our Cajun history. To share that culture is the Cajun way and I want everyone in our new home of Nevada to be able to experience it. Sacks Crawfish provides services other than just Crawfish. You can rent or purchase supplies and equipment for crawfish boils. We supply Louisiana products that are difficult to find outside of the gulf south area. Do you like and want Jambalaya or want to learn to make it, we provide the instruction for that as well. We have a generalized menu online to host the some of the more popular foods but we are not limited to that. Sacks Crawfish partners with fishermen around Lake Tahoe, California, Louisiana, and Texas. The Fisherman from Lake Tahoe have been thoroughly trained in the environmental impact of the invasive crawfish in Lake Tahoe and the adverse affect the crawfish have on the water quality of the lake. The process of fishing crawfish here is no easy task with all of the regulations making it a daunting task to remove them from Lake Tahoe. I am always looking for commercial fisherman in this area to supply the market but it is expensive. As you sit to enjoy a delicious meal, you can feel proud to help keep Tahoe blue and locals employed. 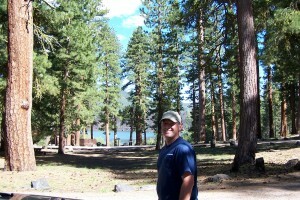 Sacks Crawfish supports the preservation of Lake Tahoe, by introducing a Cajun culinary staple to the Reno/Sparks area. Crawfish as a culinary experience is relatively unexplored in the Reno/Sparks area and is sure to become the conversation piece of your dinner table if you give it a try. The Cajun experience embodies sharing meals as a fun, prolonged social gathering with family and friends. We can provide the Cajun culture and authentic dishes to the Washoe County, Reno, and Sparks areas. All you need to do is contact us and ask. We sell live crawfish as well as boiled. We provide Catering services that does the cooking for you. Sacks Crawfish will captivate your taste buds and enhance any dining event. We specialize not only in delivering fresh, local products in all of our dishes, but also advising customers on how to integrate their own culinary culture/personal tastes with the Cajun experience. We pride ourselves on providing quality products. During the off season here, shipping crawfish in from other states is a must. 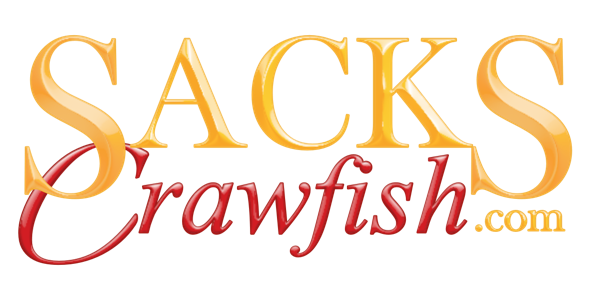 Sacks Crawfish devotes its reputation on customer satisfaction and shares this standard with all of it associated partners. The expectations are high and is driven by you the end user. When working with the local fisherman, Sacks Crawfish works hard to not set a minimum amount of pounds per order for the Lake Tahoe Crawfish. That is not always easy and can be even harder when shipping them in. Sacks Crawfish is always working with businesses in Louisiana, California, and Texas to create partnerships so we can lower the cost per pound by buying larger quantities per shipment. This is why pre-orders for crawfish is important in getting the best price. The small orders can cost hundreds of dollars. Typically, a sack holds 30-40 pounds and in Louisiana, this may feed 6-8 polite people. In Nevada, this would likely feed 12-15 novice crawfish eaters.